Baywest Appliance Service offers fast, efficient service in and around Saskatoon. We guarantee all of our repairs and products. If something goes wrong we will take care of it for you. 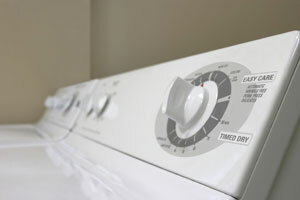 Baywest Appliance Service offers replacement parts for most makes and models. If we do not have the part you need, we can place a special order and get you the part as soon as possible. We always try to keep common parts in stock so that our technicians can complete the repair the same day or in one trip. Contact us to learn more about our repair process and how we can best serve your needs. Tip: Don’t forget to have your brand name and model number of your appliance ready for when you phone in.